DEMO METAL VEST is based on the concept DEMO METAL, considered to be the most important event in Romania for the specialists in metal working industry. Seen as a “Western” event, DEMO METAL is the place where metalworking industry leaders present their latest innovations and newest technologies. 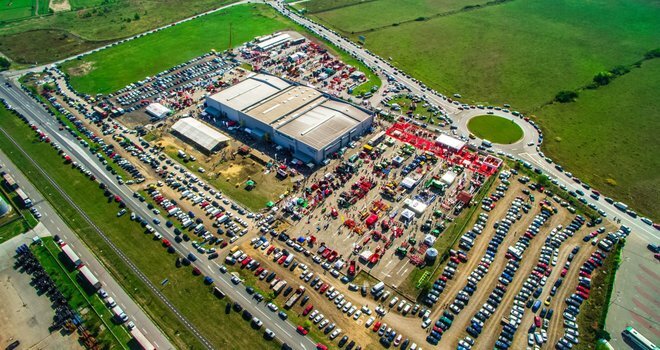 Important companies will showcase new equipment and technologies – as support for modern and efficient production processese in May, from the 9th until the 12th, at Expo Arad. Why exhibit at Demo Metal 2018, Arad? Do not miss the opportunity to participate in DEMO METAL VEST! It is the event that opens up new business opportunities. Be among those who will take advantage of an area with a growing industry! Do you attend Demo Metal Vest 2018?We are your full service, exhibition stand builder worldwide. Contact our experts in Arad and we’ll prepare your show attendance.